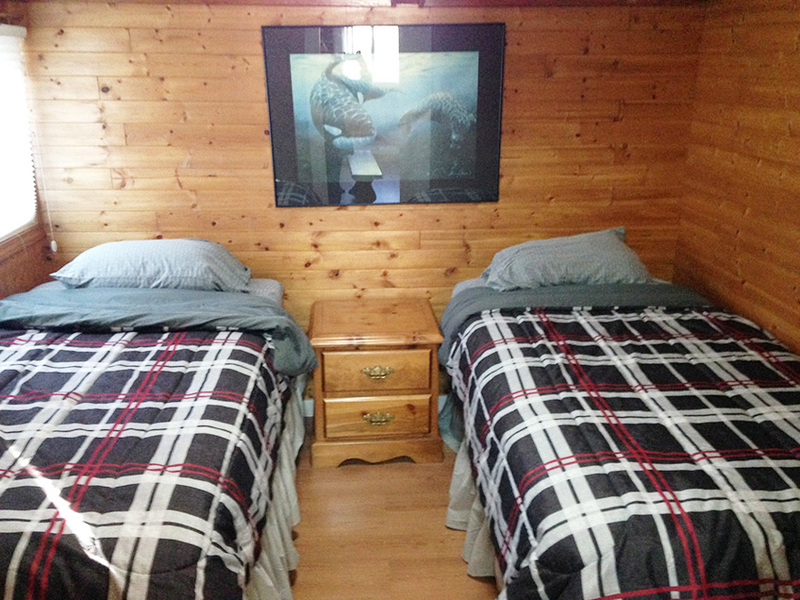 Osprey Cabins consists of four newly renovated Cabins in the heart of Port Renfrew, close to all amenities and equipped with everything you need to make your next fishing or outdoor excursion as fun and comfortable as possible. 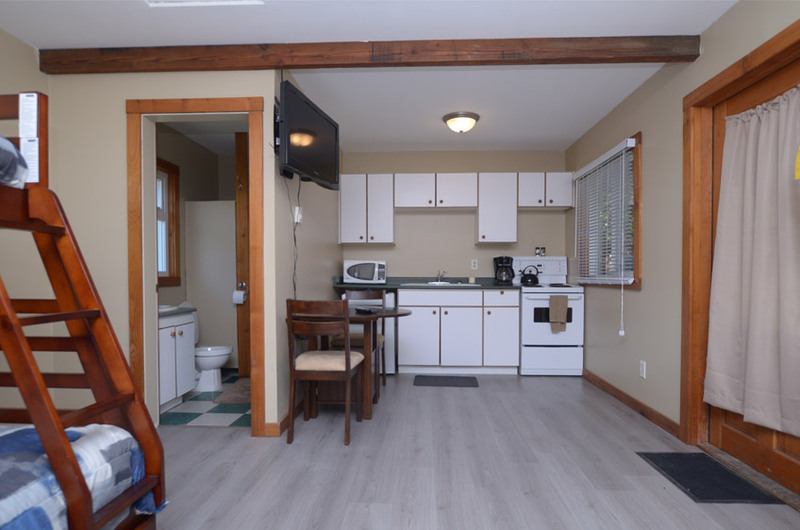 Whether you’ve booked a fishing charter, on the tail end of a Juan de Fuca hiking trip, or you just need a place to unwind with friends after a day of surfing, hunting or exploring, our accommodation has got you covered. 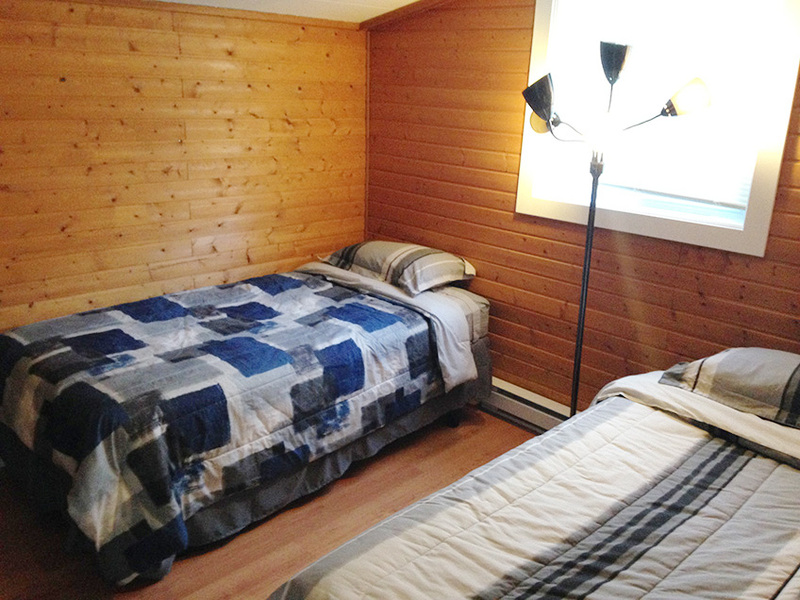 Cabins 1 and 2 are duplex-style with two bunk beds and a futon sofa each. 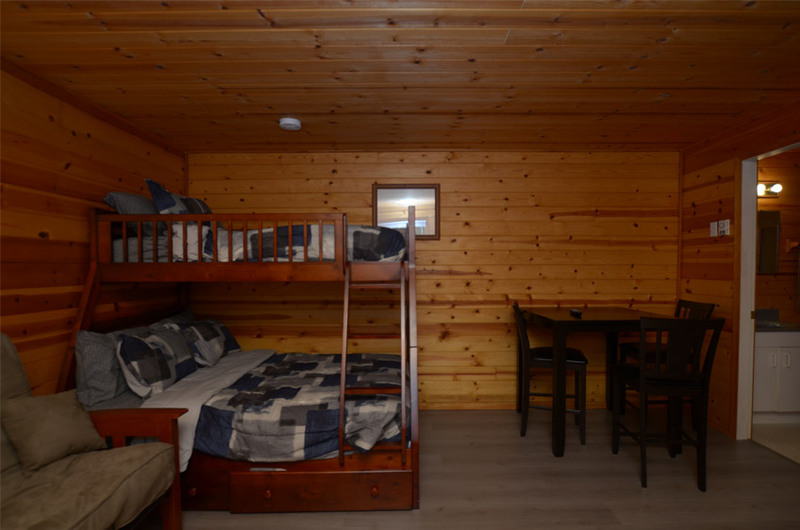 Cabins 3 and 4 are self-contained with two bunks each. 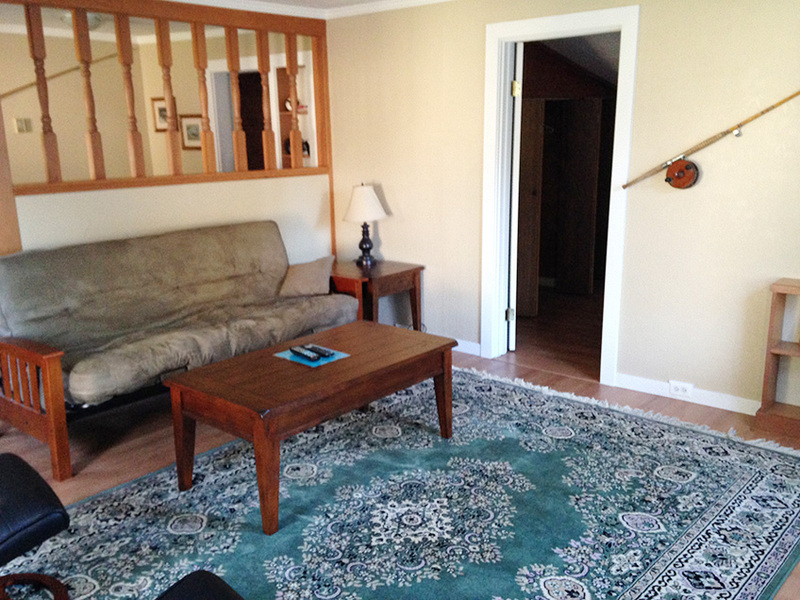 All accommodation is located on a sprawling lawn with ample parking and plenty of space for boats or trailers. 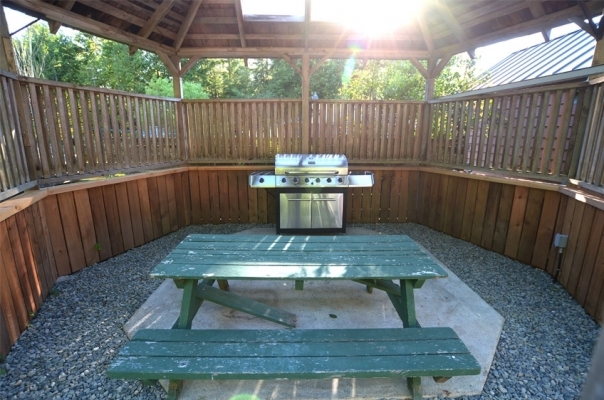 We’ve got a BBQ gazebo for year-round outdoor cooking, a spacious firepit area, plenty of picnic tables, and all the firewood you’ll need! 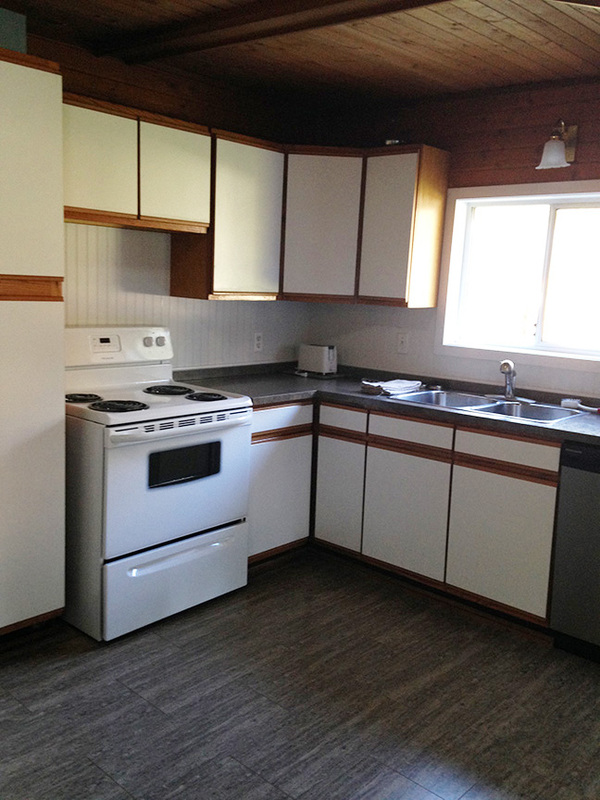 The property is located in central Port Renfrew, within walking distance to the town’s three restaurants, the Pacific Gateway Marina, and is a two-minute drive from Port Renfrew’s main grocery/liquor store. 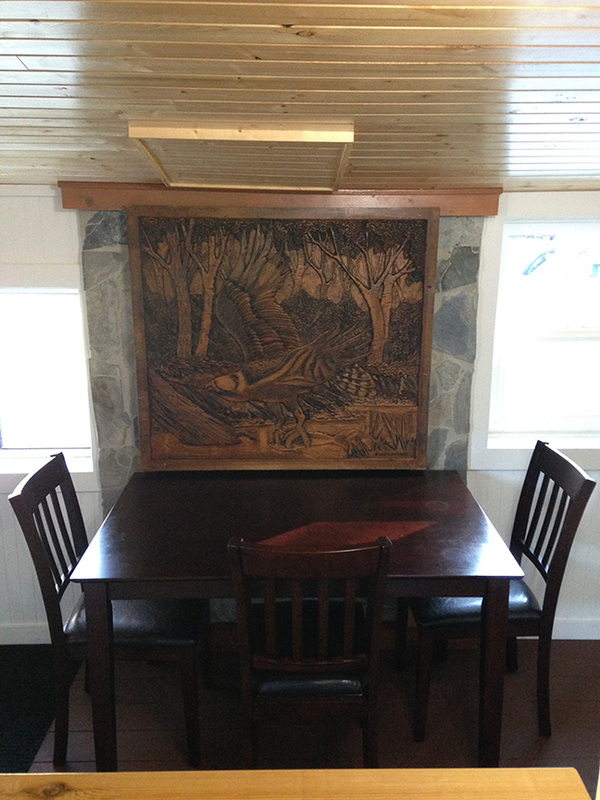 Has a shared outdoor space, including at BBQ pit, with Osprey cabins. 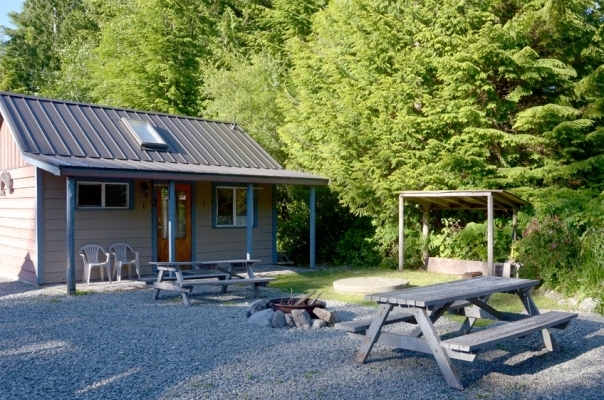 Only a two-hour drive from Victoria BC, Port Renfrew is one of the best destinations on the continent for salmon and halibut fishing. 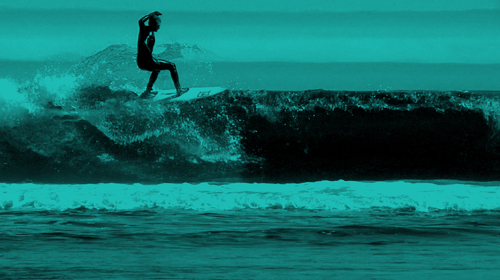 While the community itself is small, its location makes it a perfect hub for a wide array of other outdoor activities including hiking, beachcombing, Surfing, hunting, kayaking and birding. 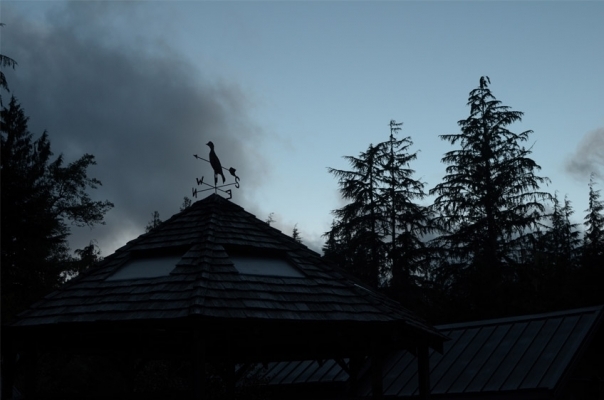 Situated amongst unparalleled natural beauty, Port Renfrew is the perfect place to catch the fish of your dreams, hike some of the world’s most picturesque trails, paddle through old growth forests, or simply escape the noise of the city. 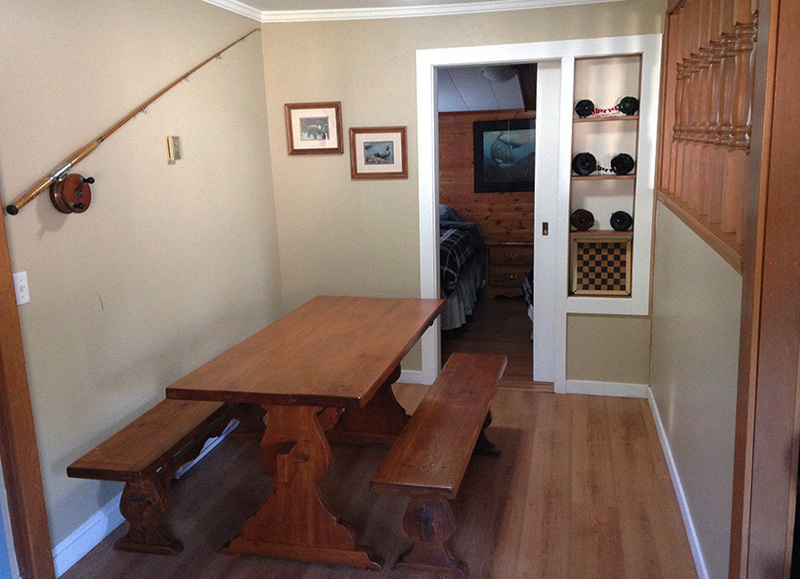 Book Osprey Cabins in Port Renfrew as your homebase through the surf season. 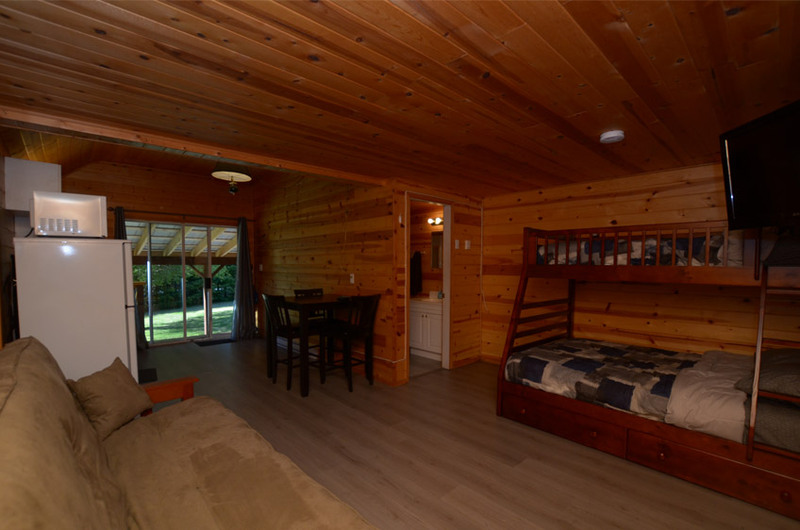 $100/night per cabin gets you 3 beds and a hot shower. 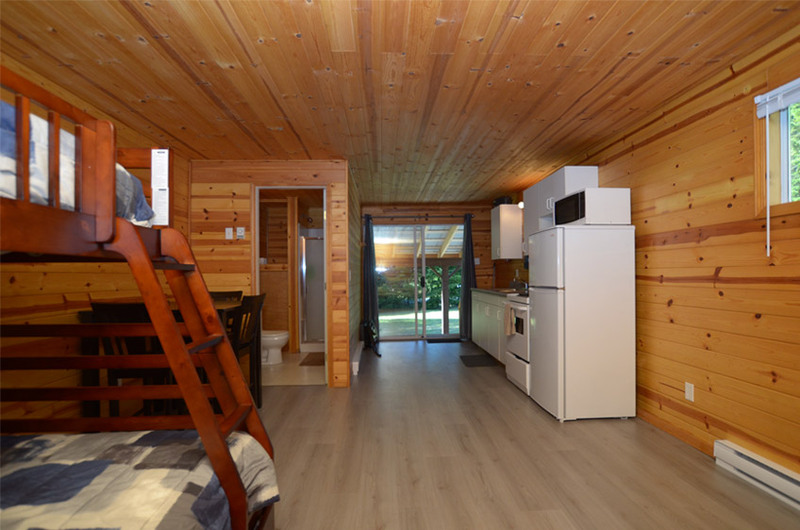 Bring your own sleeping bags and towels and enjoy the firepit, BBQ station and convenience of being close to the South Island surf when it’s pumping. 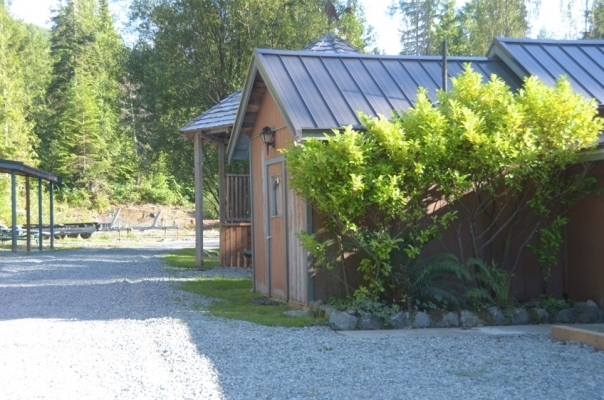 The West Coast Trail is a 75 km backpacking trail following the southwestern edge of Vancouver Island. It was constructed in 1907 to facilitate the rescue of shipwreck survivors along the coast, part of the then-treacherous ‘Graveyard of the Pacific.’ It is now part of Pacific Rim National Park and is often rated as one of the world’s best hiking trails. 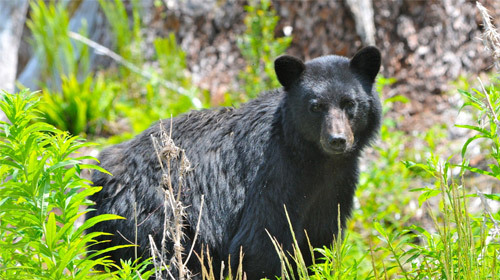 The West Coast Trail is open from May 1 until September 30. It is accessible to hikers outside of this period but Parks Canada does not guarantee the accessibility of services (such as search and rescue) in the off season. The San Juan and Gordon Rivers offer miles and miles of kayaking and canoeing, including some white water kayaking for the adventurers. 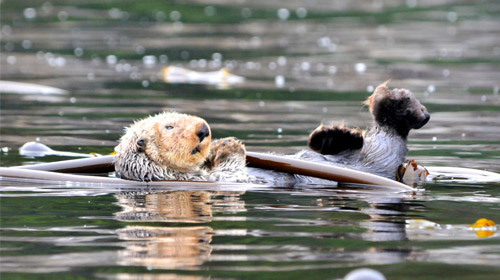 Ocean kayaking is also a top draw in the area, as the Port San Juan shoreline makes for boundless scenic paddle strokes. 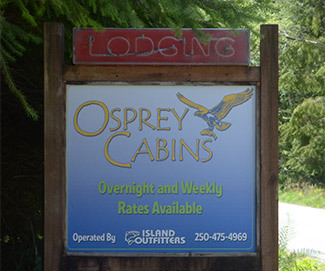 Experience renowned saltwater fishing out of our Port Renfrew accommodation with the seasoned pros from Island Outfitters. 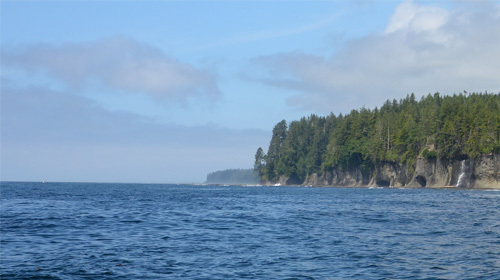 The picturesque coastline of southern Vancouver Island is world renowned for its diversity of gamefish and natural beauty. 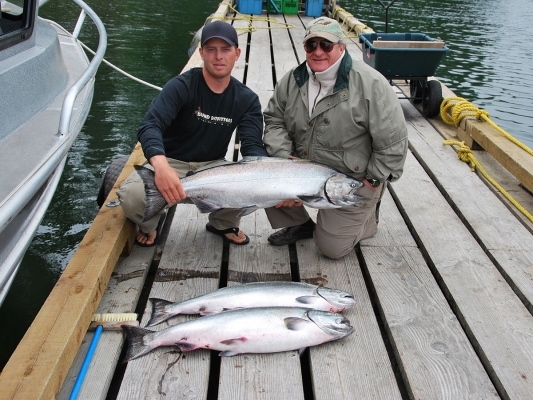 Experience the exhilaration of exceptional salmon and halibut fishing. 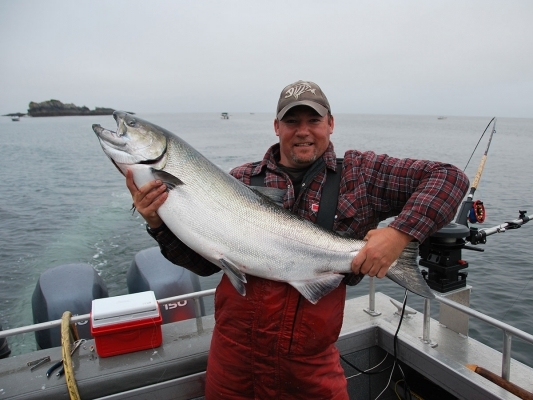 Heart pounding Chinook salmon (Kings) from 20-60lbs are waiting to challenge you! 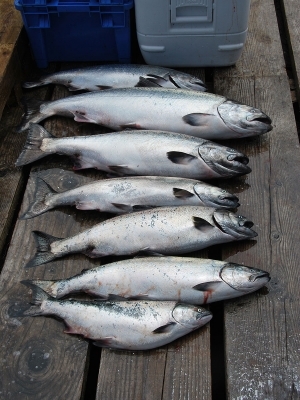 Fish for acrobatic Coho salmon (Silvers), some of the most sought after angling species on the West Coast. Ranging from 5 to 20+ pounds, coho salmon offer limitless excitement to novice and veteran anglers alike. 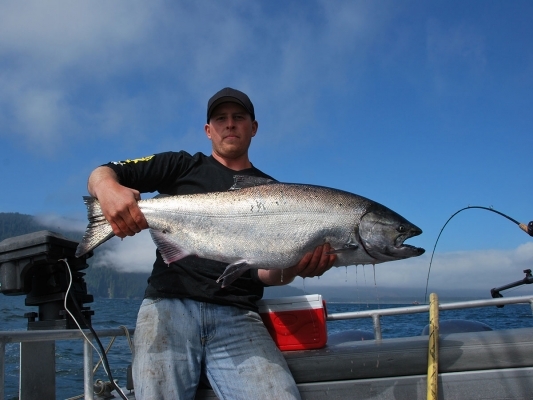 Other salmon fishing opportunities include pink, chum and sockeye salmon. 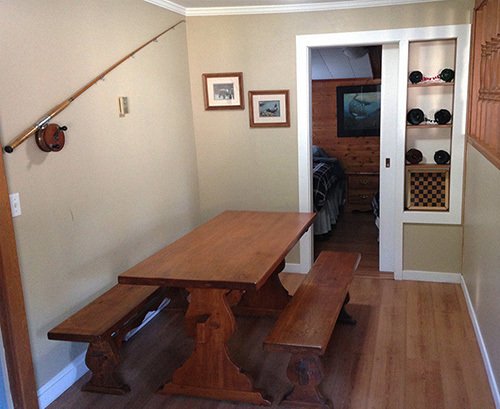 Great fun for the whole family and seasoned angler alike! Looking for monsters from the deep? 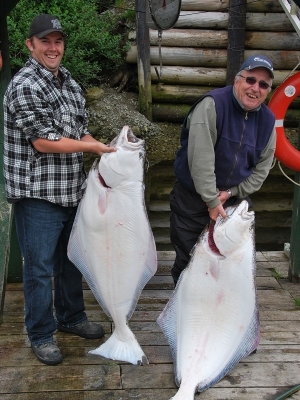 We also target the magnificent Pacific Halibut ranging from 40-200lbs. 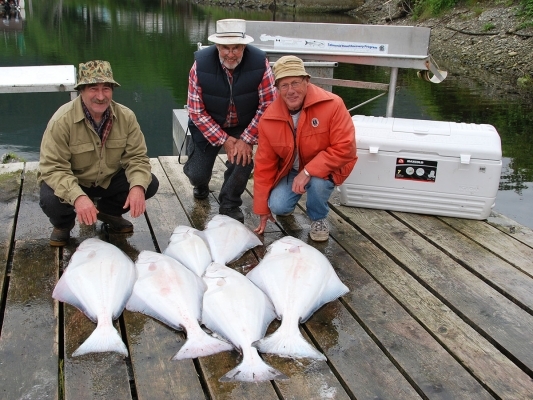 Often overlooked, Halibut offer exciting angling opportunities, not to mention the culinary benefits this fine game fish has to offer! 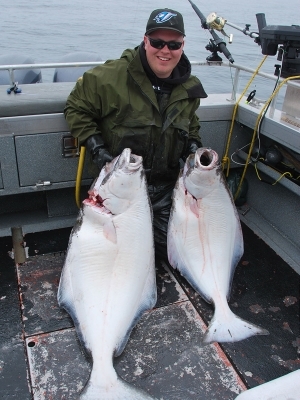 Halibut is one of the most prized meals of the Pacific Ocean. Other bottom fishing opportunities include fishing for Ling Cod, Rockfish, and Yellow-eye Rockfish (also referred to as Red Snapper). Mild weather throughout the year allows visitors the opportunity to enjoy exceptional fishing in a stable, warm climate. 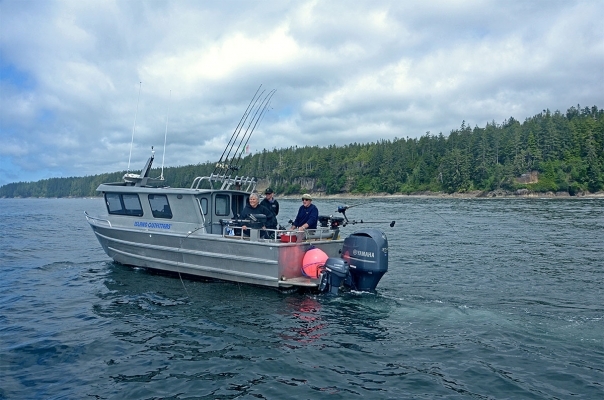 Come experience what the locals and countless other guests from over the years already know: Port Renfrew is a world-class sportfishing destination. 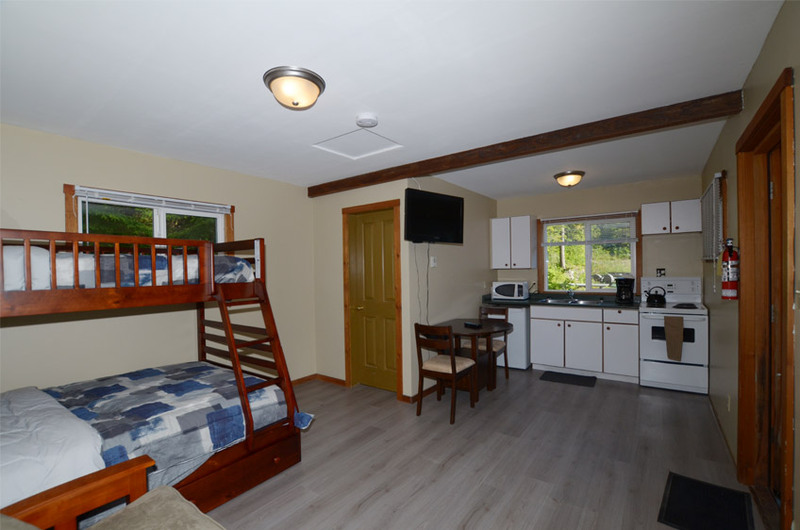 Our Accommodation in Port Renfrew is a stunning 2 hour drive from downtown Victoria BC, passing through the coastal communities of Sooke and Jordan River as well the Juan de Fuca Provincial Park. 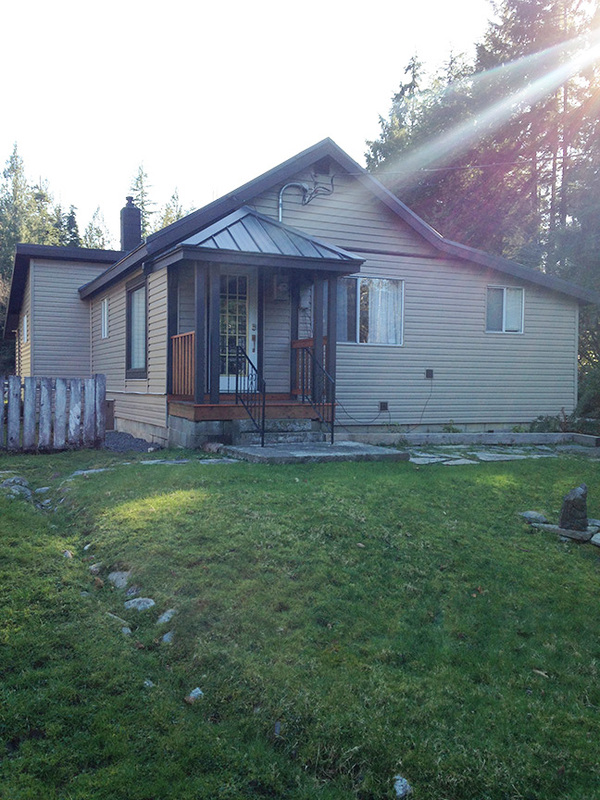 You can also drive in from the Cowichan Valley utilizing the Circle Route, a roughly 2.5 hour trip total from the harbour city of Nanaimo.